Here we are at another holiday season. It doesn’t seem possible that another year has almost passed us by. I’m really wondering where it all went! But nonetheless, it’s been a good year overall. 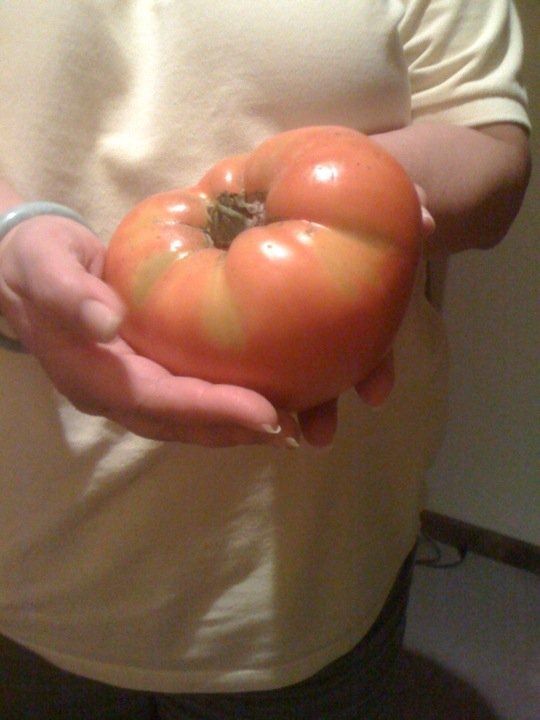 Our organic garden did so well this year. We were blessed with an overabundance of fruit and veggies even though I only planted tomatoes and green peppers this year. 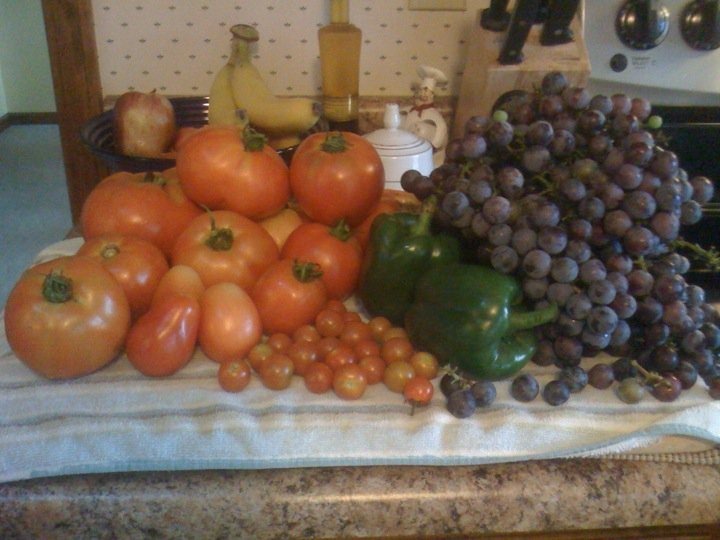 Even better, we were able to share much of our harvest with family and friends. For the first time this year, I made my own marinara seasoned with my own herb mix! I promise, you will be able to see my recipe on the Recipes page. Last year I thought my pruning might have killed the grape vine, but as you can see in the photo, we did quite well. That was a one day harvest of about 10 pounds! Another blessing is that of family and friends. Have you talked to your parents lately? I’m very blessed with parents, including my awesome in-laws, a brother and good friends that I can talk to quite often. Many times we spend hours on the phone just laughing and talking about nonsense or sometimes we talk about serious things, but one thing for sure, there’s not a call that we don’t let each other know just how special they are. It’s important to talk to those you love. Hold them close to your heart and be sure they know just how you feel about them! Continued good health is something else that I’m thankful for. Four and a half years ago I was diagnosed with a very aggressive breast cancer. I am still healthy and continue to count each new day as a gift. This year a couple of friends had to experience this terrible disease with family members. Thankfully they, too, are doing well. You never know just how important your health is until its threatened. Have you set up good habits for yourself this year? If not, today is a good day to change just one thing. Maybe it’s drinking more water or not snacking between meals. Whatever it is, change it. Then tomorrow, add something else to change. Before you know it, your lifestyle will have changed and you will have improved your health! I hope that this Holiday Season will bring good things your way. Keep pushing forward and looking upward! Embrace those you love and focus on “paying it forward” by making a difference for someone just one day at a time.